In May 1958, Mawlana Hazar Imam, His Highness the Aga Khan, 49th Imam of Shia Imami Ismaili Muslims, visited his followers in South Africa, Mozambique and Madagascar. Here he is shown a display of needlework and crafts prepared by Ismaili students during his visit to the Portuguese colonial city of Lourenço Marques. His beloved father, Prince Aly Khan (13 June 1911 – 12 May 1960), had visited the Jamat in 1957, a few months before Mawlana Hazar Imam became the Imam on July 11, 1957.Photo: Jehangir Merchant Collection. Prince Aly Khan is seen departing his hotel during his visit to Lourenço Marques in 1957. Photo: Jehangir A. Merchant Collection. Prince Aly Khan is seen reviewing notes as well as crafts and needlework prepared by Ismaili students of Lourenço Marques during his visit to the Portuguese colonial city in 1957. Seen in the picture are the late Mrs. Hirbanoo Hussein (right) and Alwaeza Mrs. Maleksultan Merchant (left). Photo: Jehangir A. Merchant Collection. Ismaili leaders and Alwaez Jehangir Merchant (right) look on as Prince Aly Khan signs the Visitor’s Book in the Ismaili Council Chambers during his visit to Lourenço Marques in 1957. Photo: Jehangir A. Merchant Collection. Prince Aly Khan bids farewell as he leaves the Lourenço Marques Jamatkhana during his visit to the Portuguese colonial city in 1957. Photo: Jehangir A. Merchant Collection. Mawlana Hazar Imam pictured with leaders and teachers at the main front entrance of the Lourenço Marques Jamatkhana during his visit to the Portuguese colonial city in 1958. Standing in the rows behind Mawlana Hazar Imam are Alwaeza Maleksultan Merchant at left and Alwaez Jehangir Merchant 5th from left, immediately behind Hazar Imam. Photo: Alwaez Jehangir A. Merchant Collection. 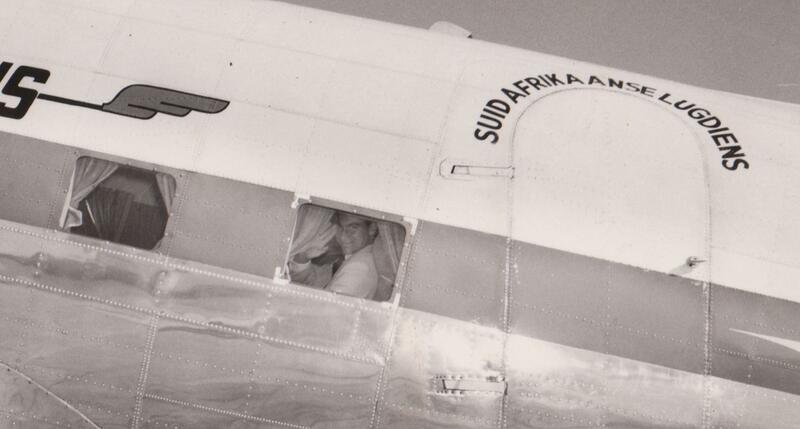 Mawlana Hazar Imam seen waving from a South African Airways plane as he departs the former Portuguese colonial city of Lourenço Marques (now Maputo), Mozambique, following a 3 day visit. Photo: Jehangir Merchant collection. Date posted: February 6, 2016. Thank you for these amazing photos and great memories! Great to see these pictures of Prince Aly Khan and Mawlana Hazar Imam. So many lovely memories! Photos simply brilliant! Excellent pictures. Good to see and they are informative.